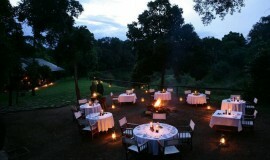 Masai Mara Sopa Lodge is located on the slopes of Oloongams Hills, Masai Mara. 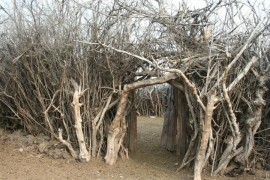 Its surrounding is vast with wildlife and rich in indigenous plants like the sweet smelling jasmine. Masai Mara Sopa Lodge was one of the first safari lodges to be built in the Maasai Mara Game Reserve, a reason why its gardens and trees are so lush and mature. All the buildings follow the design of traditional African round houses with conical roofs, and these stretch along the line of the hills with the impressively large public area buildings and the swimming pool at their centre. Children 0-3 years sharing with adult free of charge. 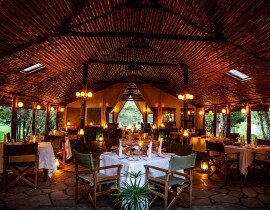 Masai Mara Sopa Lodge offers accommodation in 50 traditional round buildings with thatched roofs, each with 2 rooms. Each room has mosquito nets, dressing tables, electronic safes and personalised verandas that offer a view of the gardens and the vast game reserve. Situated right at the top of the property with an uninterrupted view of the Oloongama hills, this very spacious suite has a king size bed set on a platform. The bathroom has a sunken in bath and shower. 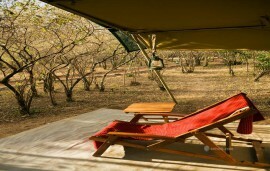 A spacious verandah is in the front to watch the sunset or have privately served meals.